Open public buildings to homeless people and their companion animals, or they might freeze to death on the street, it's that simple. 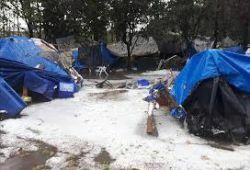 While Vancouver opens community centers and the library as warming centers, desperate Surrey homeless advocates beg private citizens and businesses for indoor spaces to temporarily house homeless people and their companion animals during the cold and wet weather that characterizes the west coast winters, putting lives of homeless at risk. Every homeless shelter in Surrey is turning away people every night. BC Housing is not even keeping track of the numbers anymore, which is shameful. 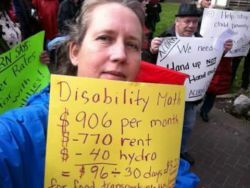 Why doesn't Surrey open City Hall, dubbed as the "People's House" by Mayor Doug McCallum, to those Surrey residents most in need? Why doesn't Surrey open local community centers and libraries as warming centers, as Vancouver has? These are public buildings, they have the necessary amenities for life...heat, hydro, water, washrooms, areas that can be used for food prep and sleeping, for service provision...why not open community centers 24/7 in all corners of the city? How can Mayor McCallum go home to his warm bed and meal every night while other Surrey residents are literally hungry and out in the cold?! How do the current city councillors sleep while others have not even a bed?! City of Surrey has many buildings which could be put to the use of the people...these are the people's buildings after all. 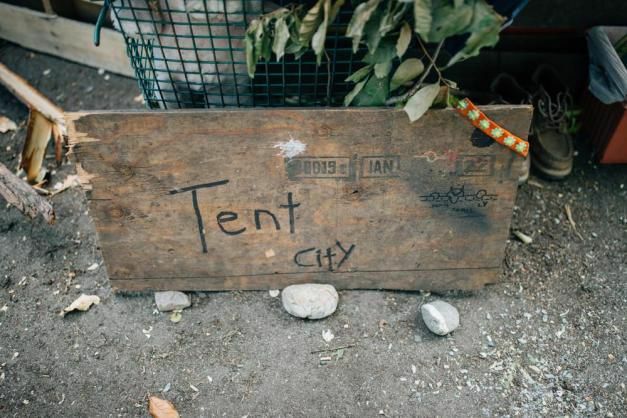 Since homeless people were moved off 135A St. "Strip" in time to be "out of sight, out of mind" for the 2018 municipal election, the homeless crisis in Surrey has worsened. Threatened with arrest by the police if they returned, and with theft of their camping and cooking equipment by the city bylaw department, those people who did not get into the modular housing due to lack of sufficient units for all, became displaced once again. Many are living in remote locations, where they are less harassed by authorities, but have less access to much needed services such as medical supports including safe use sites, harm reduction supplies, access to medical staff, meals, clothing, social supports.... How many have died because an ambulance could not get to them in time? How many bodies will we find in the woods in the spring? When will Surrey stop treating homeless people as if they were the problem? When will the city make a serious effort to offer short and long term help to those most marginalized of our members? 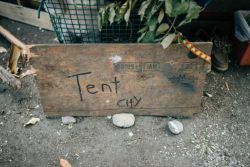 When will city council stop ignoring this social crisis in our midst? Surrey City Council needs to take immediate action. To fail to do so is a dereliction of duty, the lives of our most vulnerable community members depend on us!